Expanded Edition. Rock House. Instruction, Method. Softcover Media Online. With guitar tablature. 88 pages. Published by Hal Leonard (HL.14041783). The House of Blues and producers of The Rock House Method join together to bring you this accelerated electric guitar course designed to take you from beginner to intermediate player in no time. 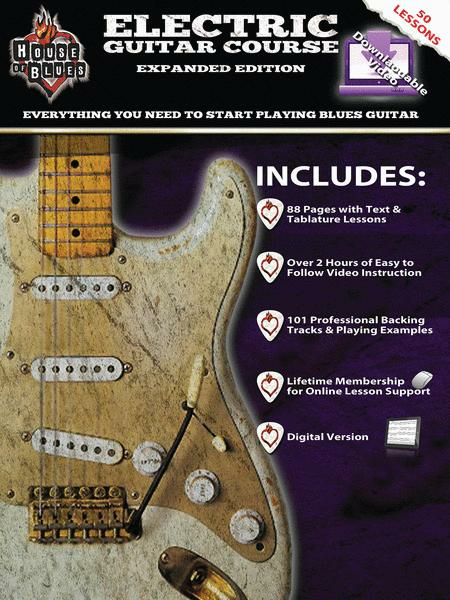 The instruction with world renowned guitarist John McCarthy takes you step-by-step through the basics. You start by learning the parts of the guitar, proper hand position, tuning, essential chords and scales, lead patterns, practice tips, rhythm techniques and exercises to build hand coordination. You then move onto advanced lead guitar techniques like hammer-ons, pull-offs, bending and complete rhythm progressions. 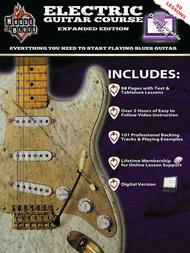 This comprehensive course will get you ready to play in your own band. • Web membership for online lesson support: you get lifetime membership to The RockHouse Method lesson support system on the web. Use the number found inside the book to register for support at www.hob.com.